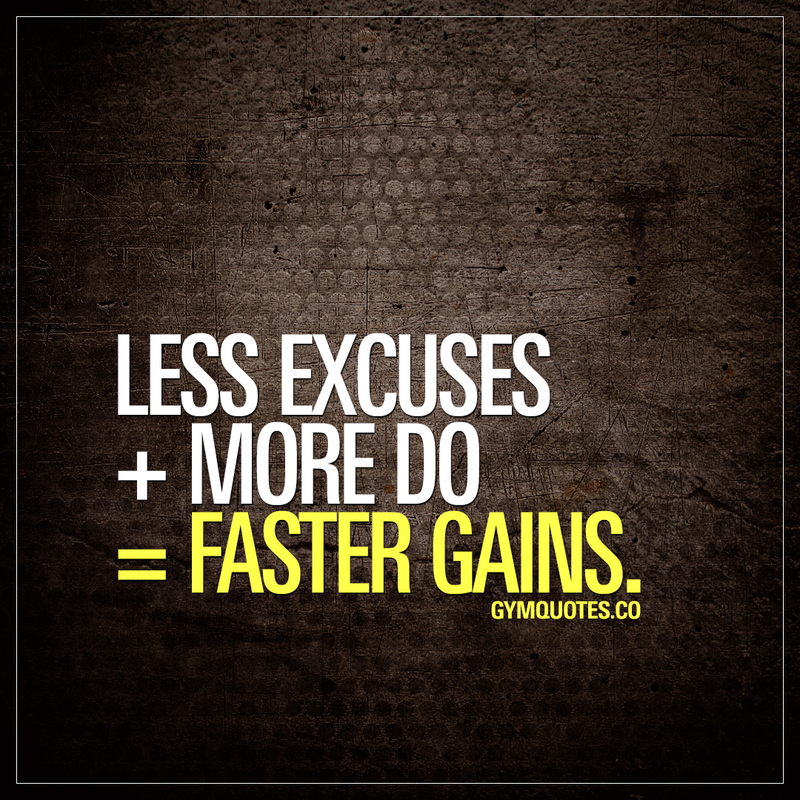 Less excuses + more do = faster gains. The ratio of excuses VS. taking action and doing will always have an impact on your gains. The less you make excuses and the more you actually take action and do things (working out, eating healthy, etc) the faster you will make gains. Make less excuses and take action and you’ll be able to enjoy faster gains. This faster gains quote (image and text) is copyright © Gym Quotes 2019.